Our goal through our Learn to Swim program at our SAKA Swim School is to get all our students more comfortable in the water. Whether it be training for a grueling triathalon or simply learning the basics for the first time, our instructors strive to supply you with skills that can prove invaluable over a lifetime. Take some time to get to know our qualified and certified group of instructors! 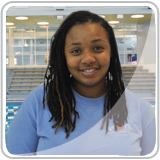 Teaching Expertise: I've taught parents, children, and parents with infants, and people from ages 3-83, as well as all levels of swimming through The American Red Cross, YMCA, & Phila.Department of Recreation methods. 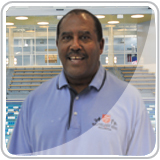 Certifications: I am certified in American Red Cross WSI & Lifeguard Certifications. What is your favorite part about teaching lessons? : My favorite part of teaching swimming lessons is when the student realizes that he's or she's really understanding how to swim. Why is it important for people to learn how to swim? : It is important for people to learn how to swim for multiple reasons,such as exercise,health benefits,enjoyment of water,appreciation & respect for a water environment,heving the ability of saving one's self,if the need arouse,knowing why others have to be encouraged to learn how to swim,& their being a roll model as to how truly easy it is to learn how to swim. What is your favorite part about teaching lessons? : The 1st class is always the hard class because they have a little fear but towards the end of the session the kids are filled with joy and swimming like little fishes. What is your favorite part about teaching lessons? : My favorite part about teaching lessons is instructing people how to be comfortable in any depth and still enjoy the water as much as I do. Why is it important for people to learn how to swim? : I feel that if the earth is about 70% water, not knowing how to swim keeps you from experiencing so much this world has to offer. Teaching Expertise: I have been teaching for over 65 years for the American Red Cross. My expertise is teaching teenagers and adults to swim. What is your favorite part about teaching lessons? : Knowing that I am teaching a skill individuals can use for the rest of their lives. Why is it important for people to learn how to swim? : It is important for everyone to feel safe in and around the water. It's an experience they will enjoy all of their lives. What is your favorite part about teaching lessons? : My favorite part about teaching is watching my students make progress week after week in the pool. Why is it important for people to learn how to swim? : Competence and confidence in and around water are survival skills that everyone can learn with some practice and instruction. Other than survival, swimming is an excellent form of exercise and enjoyment. 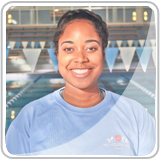 Teaching Expertise: I have had experience with teaching swim lessons for about 5 years. My expertise is teaching pre- school to teenagers at beginner to advanced levels. 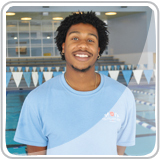 Certifications: I am certified in Lifeguarding, CPR/First Aid and Water Safety Instruction. What is your favorite part about teaching lessons? : My favorite part about teaching swim lessons is noticing how the student is making progression from their starting point of the class. 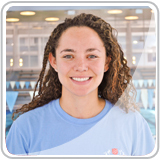 I also enjoy encouraging students to work on different swim skills that they feel as though they would not be able to do and seeing the look on their face once they realize the task was obtainable. Why is it important for people to learn how to swim? : It is important to know how to swim because it is an important survival skill and also a good use for therapeutic remedies, games, and fitness. 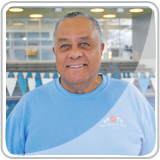 Even though swimming may be fun knowing how to conduct yourself in and around water is a skill that is well needed for people of all ages.